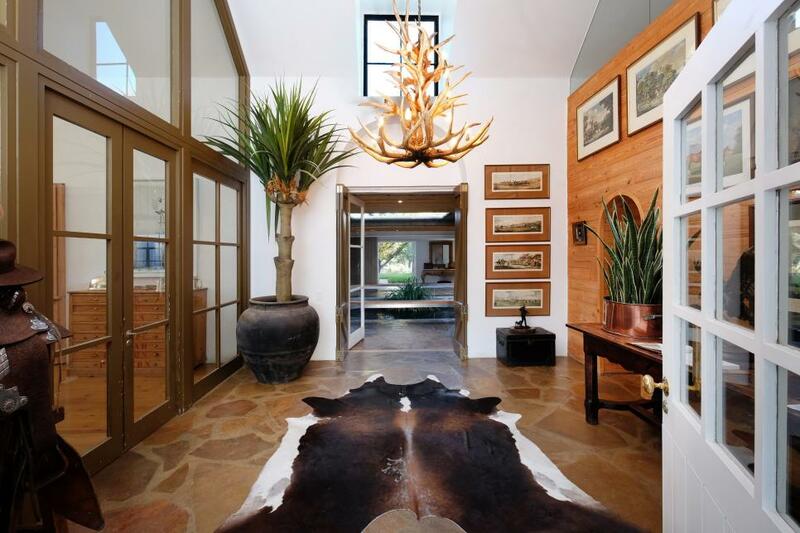 The main residence features vaulted ceilings and rustic accents in keeping with the ranch's roots. 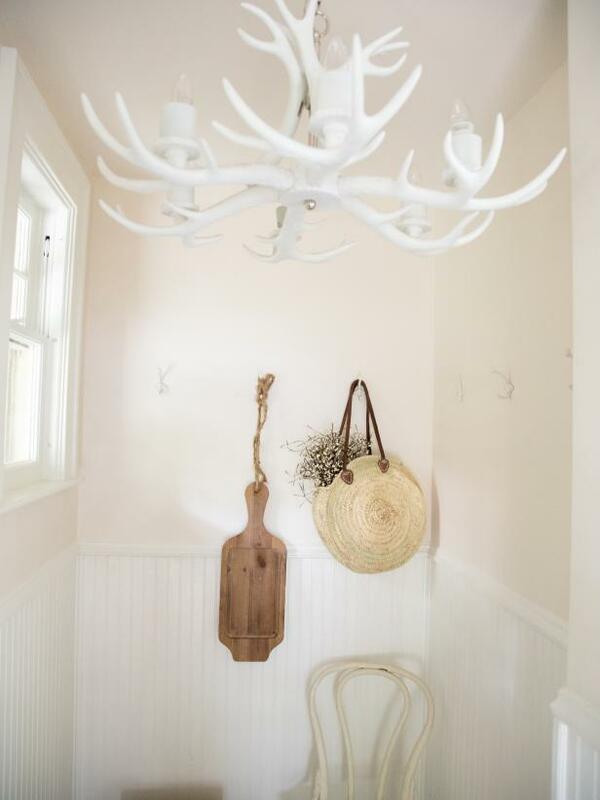 An antler chandelier lights this hallway and there's a animal hide rug underfoot. 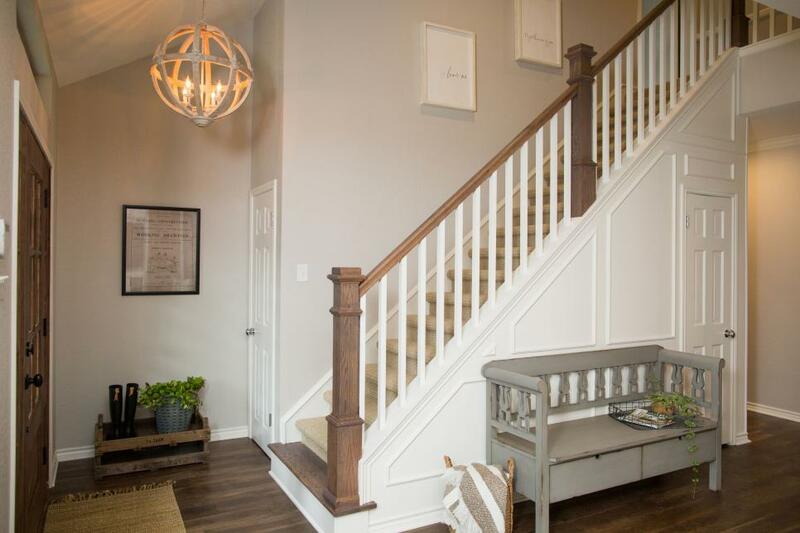 On episode seven of HGTV Design Star season six, contestant Kellie redesigned kid Mason's bedroom. 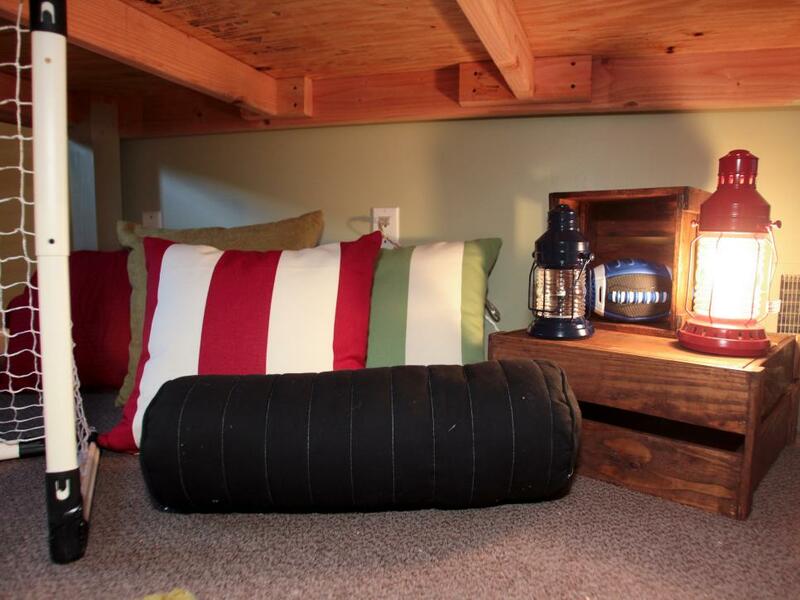 Mason can use this private under-bed area to kick around the soccer ball or relax with a book. "It's the only space in the room I kind of like," says judge Vern Yip. 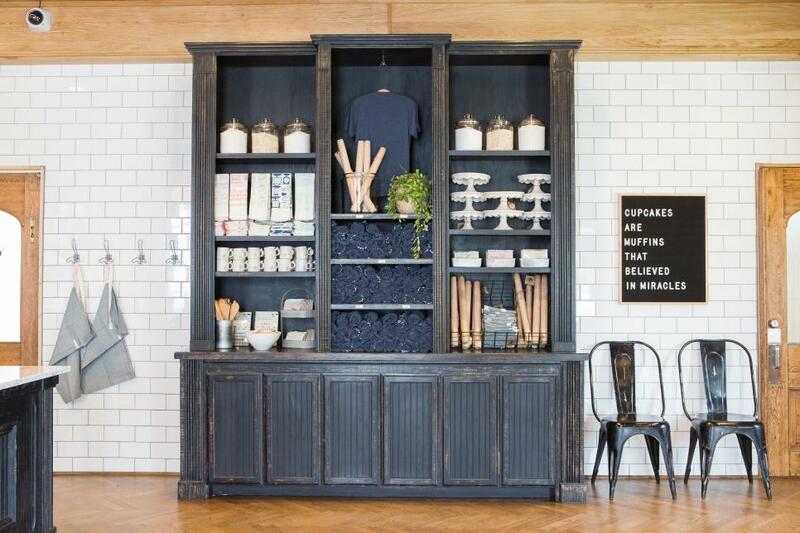 A black wooden shelf in the finished storefront features bakery shirts and other knick knacks. 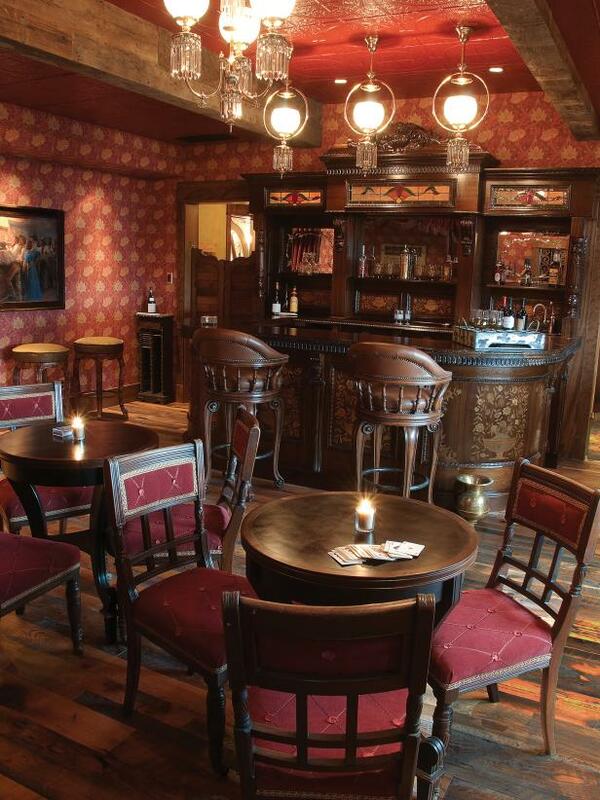 The D and D Saloon boasts a vintage bar. Burnt red keeps with the Old West theme. The custom back of the bar is fitted with a hidden karaoke screen to help struggling singers. 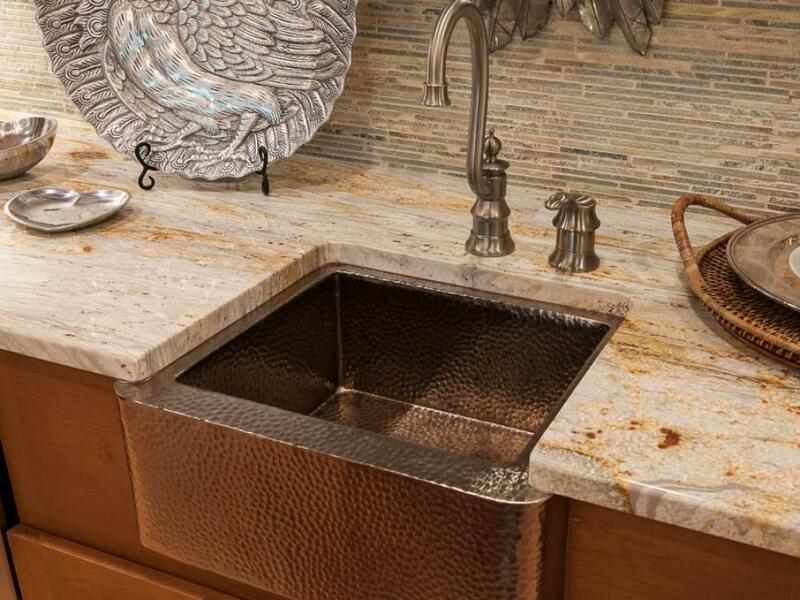 This copper farmhouse sink is the perfect rustic compliment to the tile wall and wooden cabinets. The reflection of the ceramic tile adds bits of color to this wet bar. 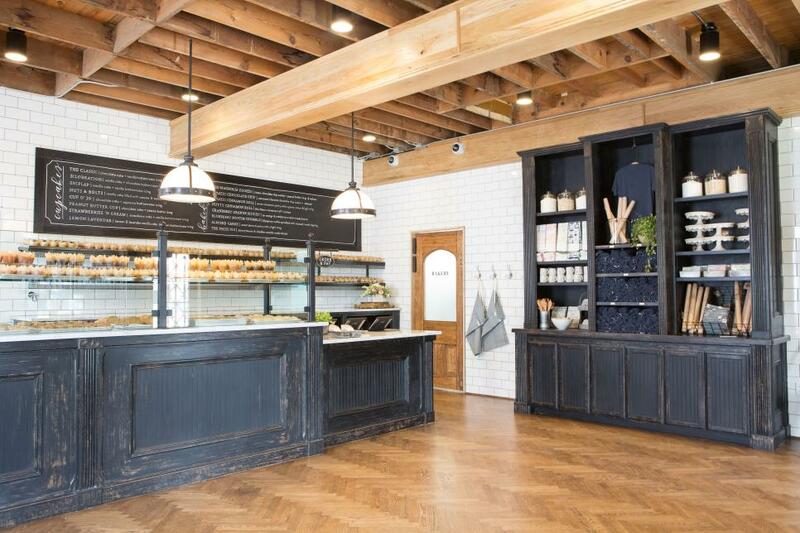 The renovated bakery showcases rustic charm with exposed beams and raw wood ceilings. 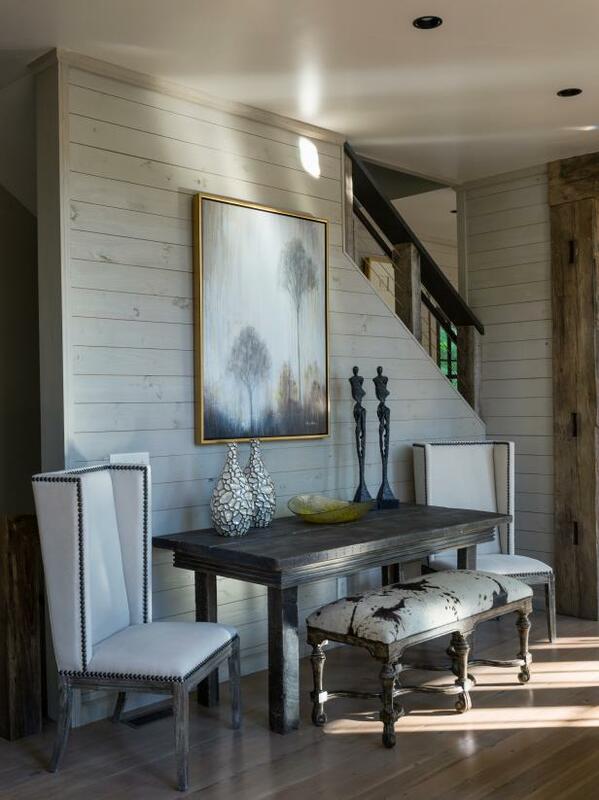 A rustic table and wall paneling and plush seating welcome guests and residents into this cozy cabin getaway. The sleek lines of the chairs and modern artwork balance the setting to create a sitting area that's not overly country or contemporary. 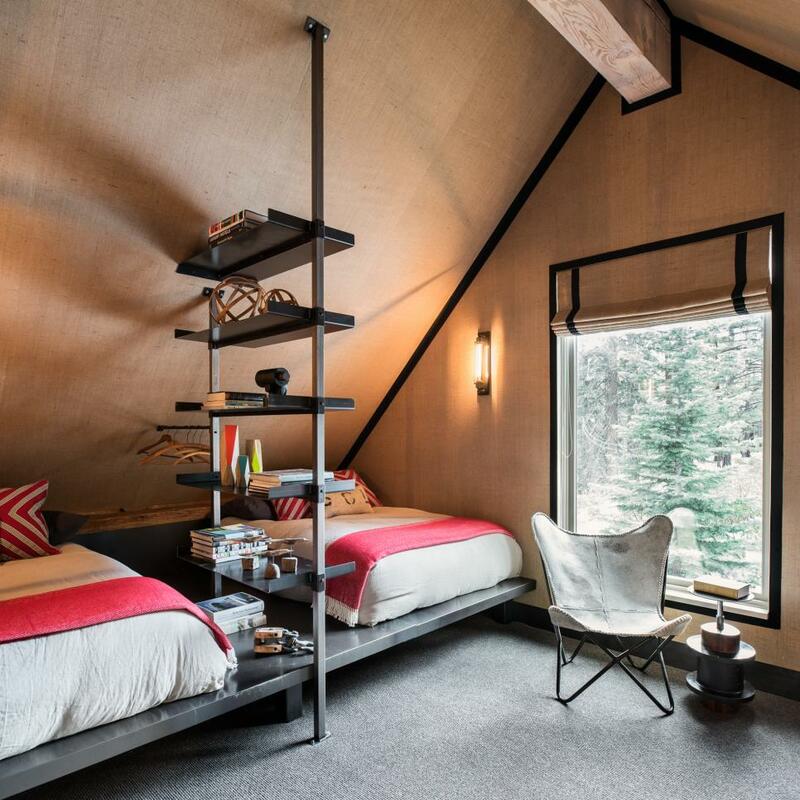 The sloped ceiling, textured wallcovering and platform beds of this attic bedroom evoke the feeling of sleeping in a tent, an especially luxurious one. 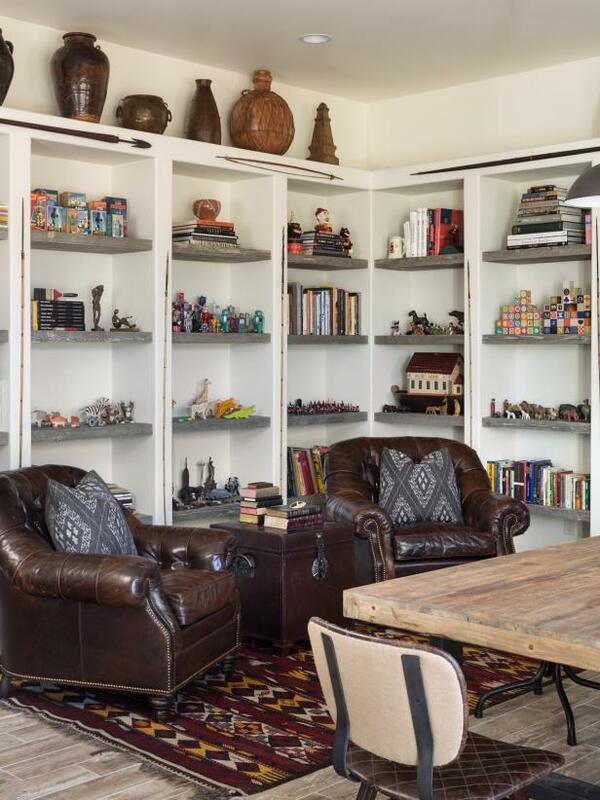 Between the beds, open shelving stores books and displays colorful accessories. A butterfly chair takes advantage of the big window and pretty view. The home makes it easy to entertain in lavish style with a large bar, outdoor kitchen, multiple balconies and an expanisve deck. 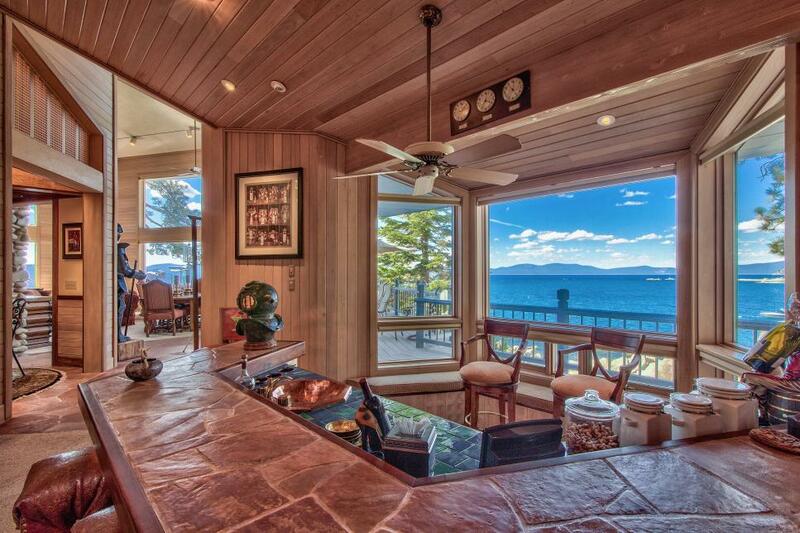 There's also a hot tub, sauna and a private swimming area. 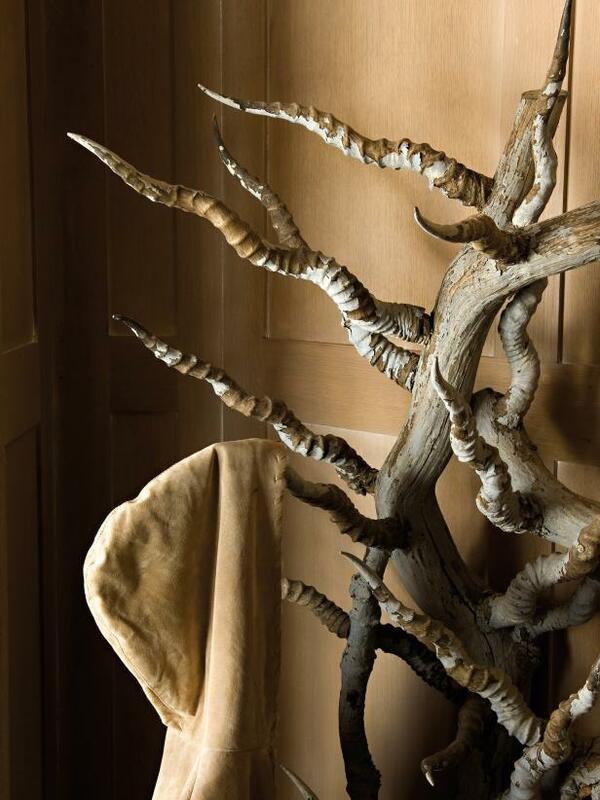 This unique space -- an entomology studio -- was designed as a workspace to create original works of art, and also to showcase personal collections. 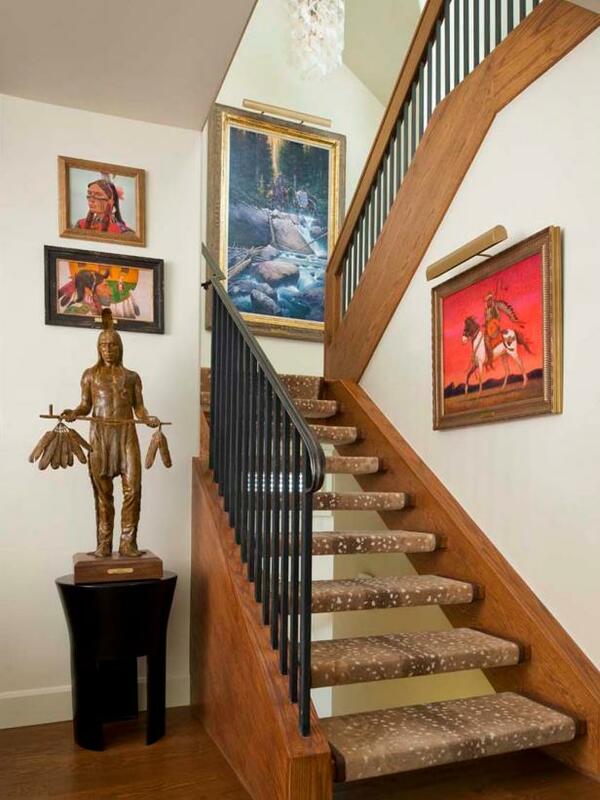 By keeping the walls white and the furniture simple, the homeowner can display multiple items without the space ever looking cluttered. 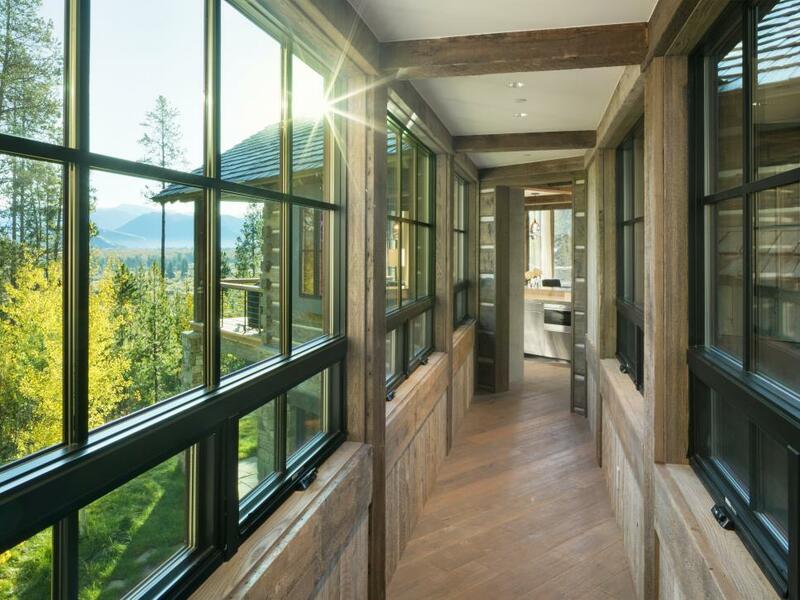 Natural wood with exposed joinery and a stunning wood accent wall pull from the forested setting and make this loft-like living space seem suspended in the trees. 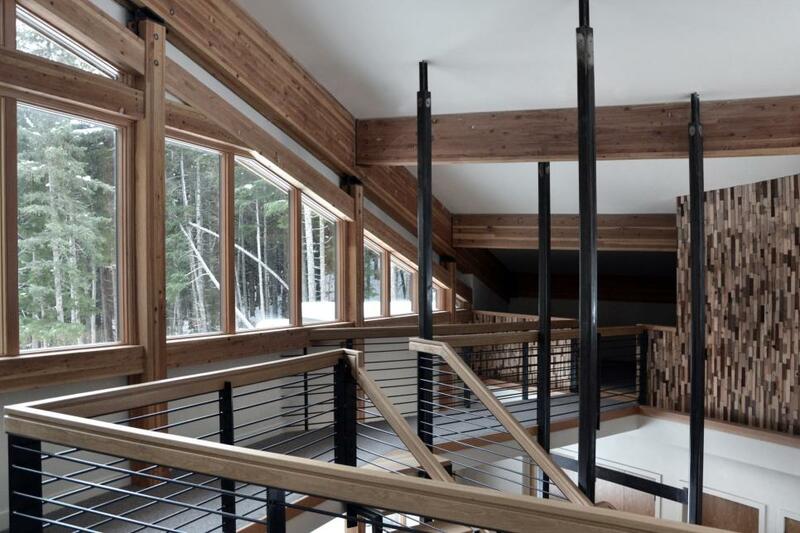 Windows in the space extend as high as 28 feet, while horizontal rails on the balcony and stairs echo the spindly lines of tree trunks and provide uninterrupted views. 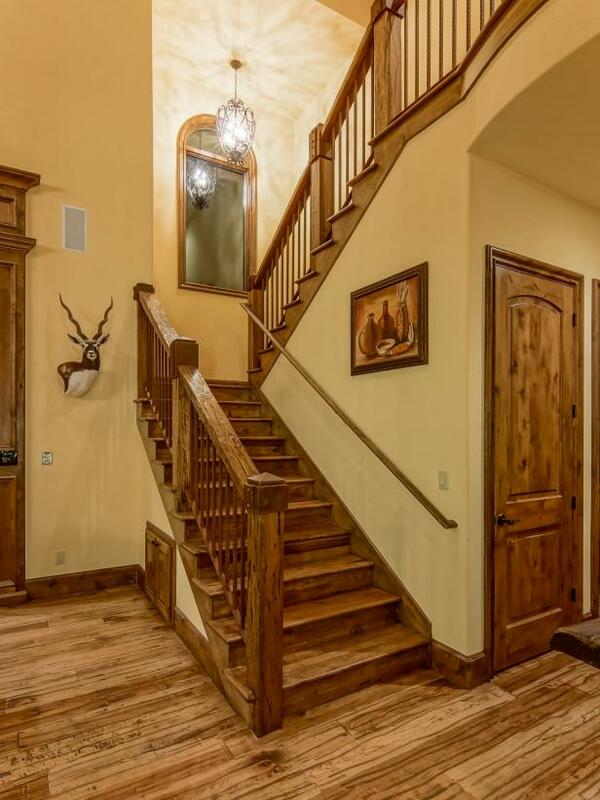 Decked out with rustic decor, the man cave is the ultimate place to chill with the guys and have a sports night. 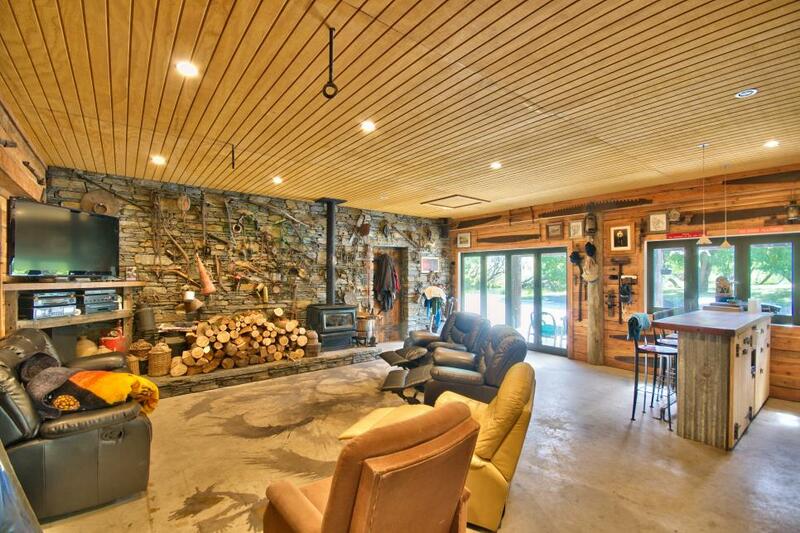 Complete with a TV, stereo, wood burner, bar and covered barbecue area, the guys are sure to be fully entertained.